Depending on the size and scale of the outage affecting a business, it can disrupt productivity, cause financial loss and even legal problems where companies are failing to provide goods and services they are contracted to provide. There’s also reputational damage. Big companies such as British Airways have made the headlines in recent years when their systems have failed. In 2017 the airline experienced issues with its check-in-system, grounding flights for almost two full days, inconveniencing more than 75,000 passengers – which set the company back more than $68 million in passenger reimbursements. According to a 2015 research paper by Avaya, the most common reasons for network outages were: power outage (81 per cent), a lack of routine maintenance (78 per cent), hardware failure (53 per cent), software bug or corruption (34 per cent) or network issues and outages (27 per cent). Avaya estimates that “nearly two thirds of outages resulting from the top five causes and more than a third of all outages” could be avoided entirely by the use of best-practice industry outage prevention strategies. This means that a lot of downtime can be avoided entirely! Failure to keep systems properly maintained is a recipe for disaster. By managing the upkeep of your network you can avoid service disruptions. Implement a routine maintenance schedule and also monitor your systems in real time to ensure that they are performing properly so any issue that arise can be addressed before they become worse. Running anti-virus software and having firewalls in place is the front-line of defense for any business to avoid downtime associated with cyber attacks. But it isn’t enough. Make sure your virus definitions are up-to-date and also ensure that when patches and updates are released by software vendors, these are downloaded and enabled as soon as possible. 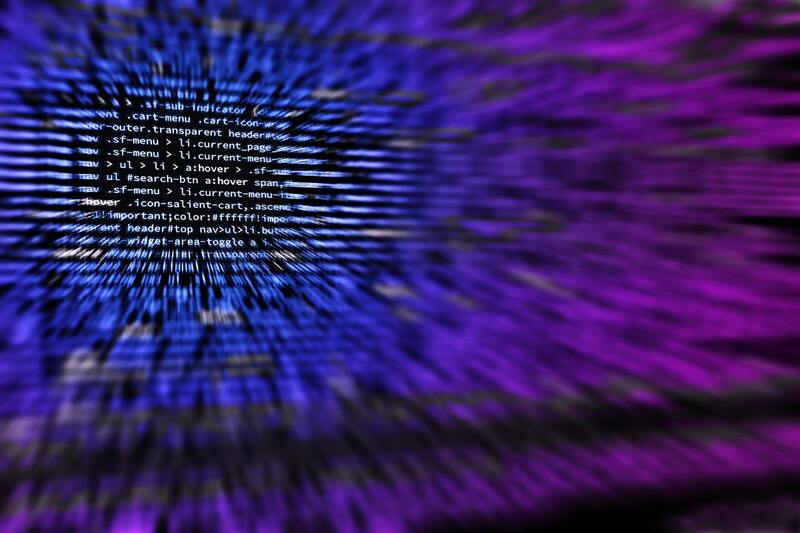 Many high-profile cybercrime incidents have occurred because businesses have failed to update software and left themselves vulnerable to attack. Human error has been identified as one of the most common causes of system downtime. Many IT outages are the result of inexperienced and naïve employees making a mistake, such as falling for a phishing scam or opening a suspicious email attachment. Offering comprehensive security training for all staff, at every level, and backing it up with reminders and refresher training is the best way to ensure your people know what their role and responsibility is in keeping your network safe, and your company up and running. Some outages only affect parts of your system, meaning staff can get on with other work and reprioritize their workloads. When you have such an outage, while you’re looking to solve the problem, you can instantly send a notification to the desktops of all your staff using DeskAlerts – helping to save productivity. 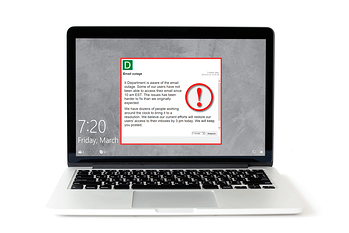 DeskAlerts is also a great tool to use when there is a known threat, such as ransomware, doing the rounds of other companies. Quickly alerting your employees to the threat and giving them instructions about what to do if they encounter it can mean the difference between your company becoming a victim or a victor.